Princess Magnolia does things a proper princess should do — she sits primly and is polite while receiving an unexpected visit from the nosy Duchess Wigtower. But when her glitterstone ring goes off, it’s an alarm that a monster is getting too close to the entrance to Monster Land, which is located in a goat field not far from the castle. 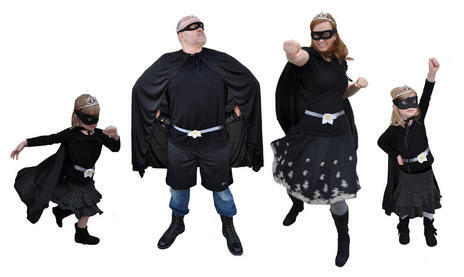 via Shannon and Dean Hale introduce a superhero princess in ‘The Princess in Black' | Deseret News.